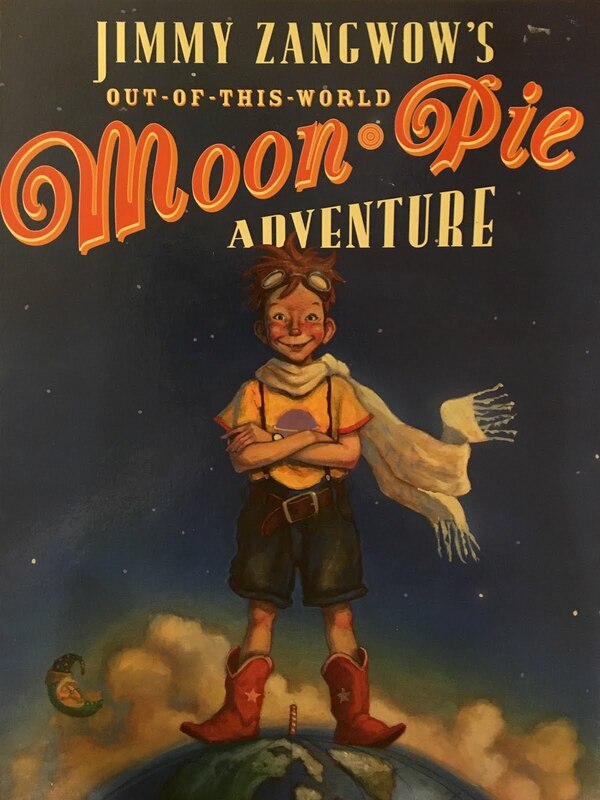 Our cute friend Cormac shared his thoughts about an out-of-this-world adventure, about a boy named Jimmy who travels to the moon and back for his favorite treat and makes some special friends along the way. It's about a big giant that just wants a moon pie and that's the end of it. I liked when there was aliens about to eat but they couldn't eat a bite. I love the pictures and we should go make moon pies. Don't you just love the title? This was DiTerlizzi's first children's book and, as aptly stated by the Children's Book Review, "It's no surprise that the author collects toys nor that the motto on an opening page reads 'Never Abandon Imagination'." You can find more, including coloring pages and other resources at DiTerlizzi's website. How far would you go for your favorite snack? And just in case you do feel a craving for a moon-pie after reading, here's a fancy and a more kid/time friendly version. You'll have to figure out the milk on your own.